As much as I don't get along with many face primers, not a day goes by without me using an eye primer. No-one likes a creased eye look, nor a liner wing that's halfway down the lashline.I have 4 in my collection, all of which I find work for different things. My favourite of the bunch is the Avon Eye Shadow Primer in Light Beige which is slightly tinted so it colour corrects the eye and mattifies (without drying whatsoever) the entire lid and preps it for anything you are putting on top - shadow, cream products, or just liner. It's great. The next offering is the MUA Pro Base Eye Primer, which was actually my very first post on this blog. I raved about it then, and although this is still great and extremely budget based, I feel like the Avon one just beats it for me. But, this one still does the job well and if I didn't have the Avon one in my life I would still be using this daily. When I am doing a dramatic eye, or anything involving a touch of colour, I reach for the Dainty Doll Frankie Girl Eye Base as it is so pale that it totally blanks out the lid with a creamy coloured layer, which makes any colour stand out more and mattifies so there is no creasing. Finally, the Smashbox Photo Finish Lid Primer (mini) has been in my collection for a short while now. I did rave about this originally, but the last time I used this I had a bit of creasing going on. I'm hoping it was a one off because I really liked this one beforehand. 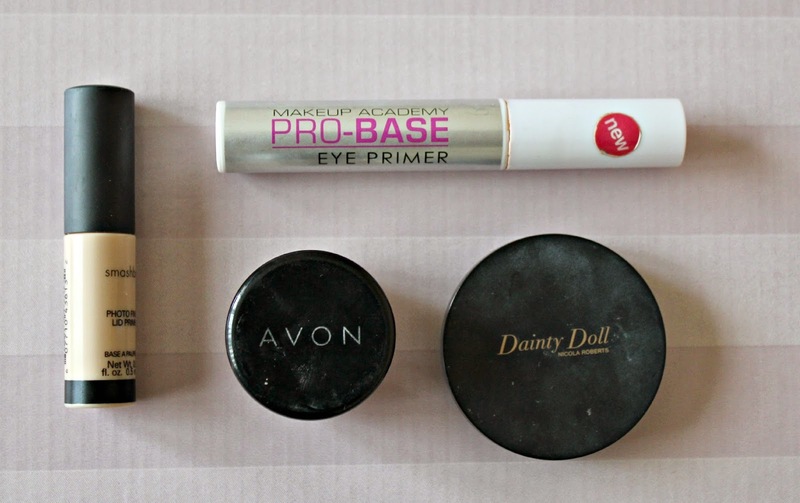 What are your favourite eye primers? 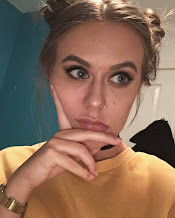 I saw the MUA eye primer last weekend and was thinking I might give it a go! Have you tried any of the ELF eye primers? I currently have the Mineral one and it's fab! I absolutely love Dainty Doll's Frankie Girl eye primer. Gorgeous!